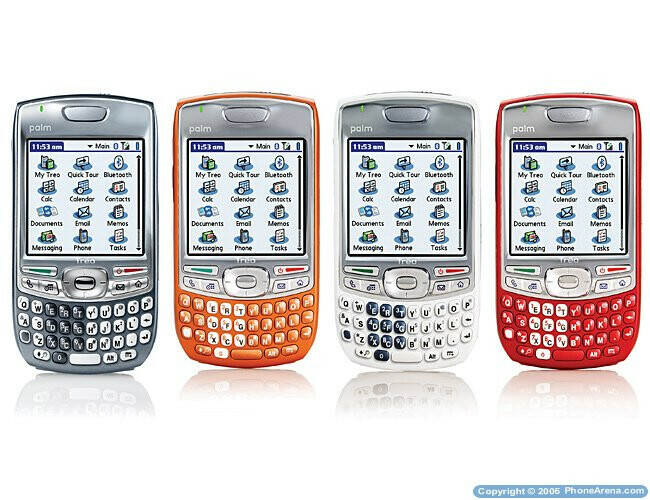 Finally Palm showed the 680 running on their own simple-to-use Palm operating system. The manufacturer shows its newest model as budget smartphone suitable for people that are not used to high-end phones but want good feature set at an affordable price. Coming in four new colors (crimson, copper, arctic and graphite), the small candybar quad-band GSM/EDGE world phone with internal antenna features QWERTY keyboard which helps for its good messaging functions; it displays text-messaging conversations as "threaded chats," similar to IM, so people can keep an eye on the entire conversation history. The display of the Treo is 320x320 pixels and the internal memory is 64MB with slot for additional, if you want to store lots of files for the multimedia players. Palm also announced that it expects the new smartphone to be available with 20 carriers around the world until June next year. As earlier information showed, Cingular will be one of them.